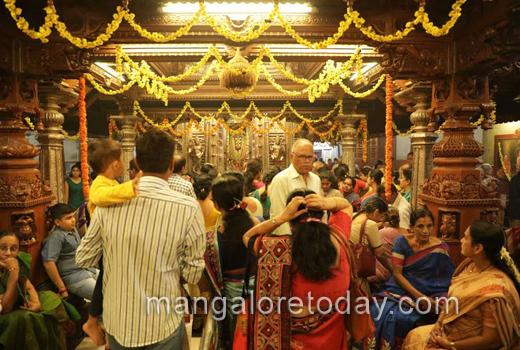 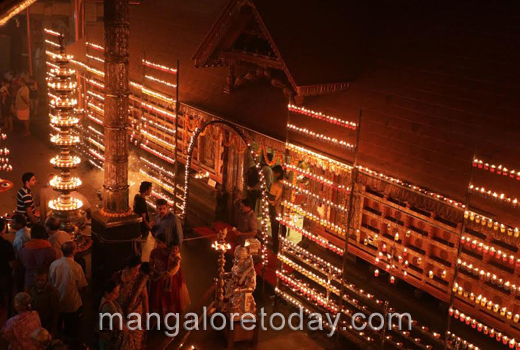 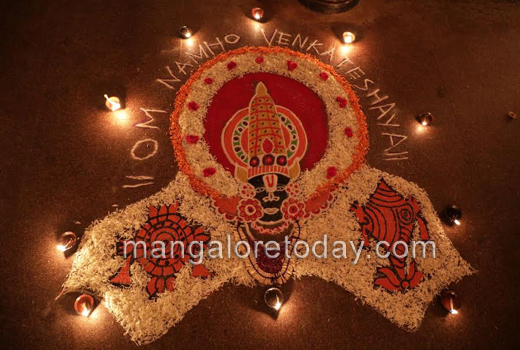 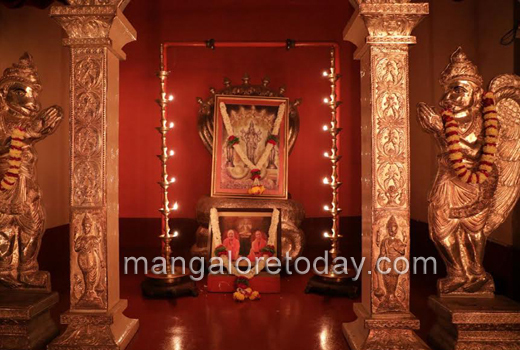 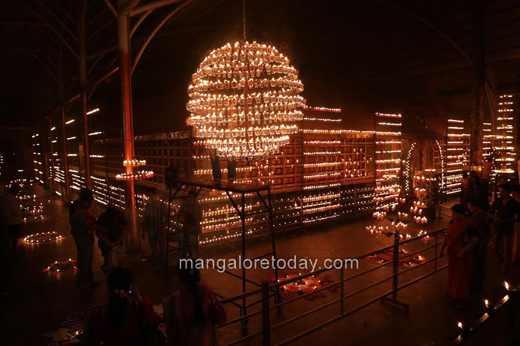 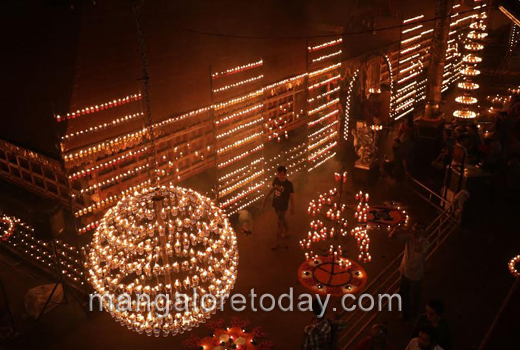 Mangaluru, Jan 10, 2017 : A Vishesha Deepalankara Seve was offered to the Lord at the Shree Venkataramana Temple at Carstreet on January 9, Monday on account of Vaikunta Ekadashi. 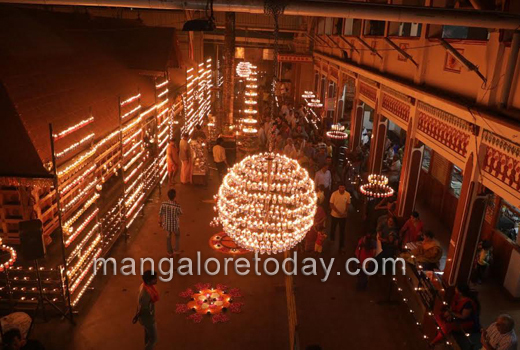 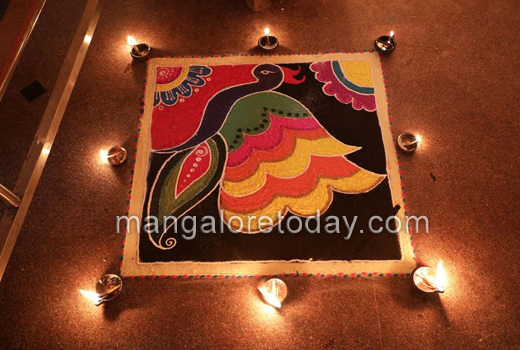 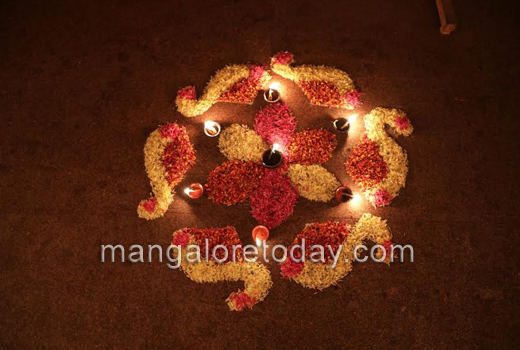 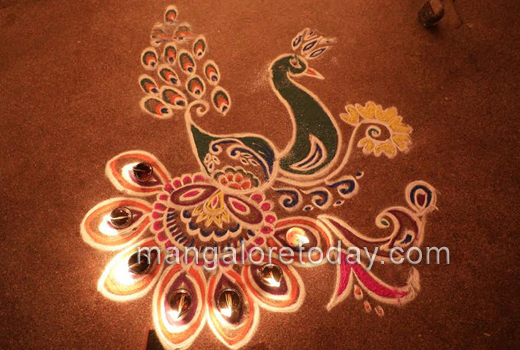 Colourful and attractive Rangolis, some of them made using flowers, were the cynosure of all eyes. 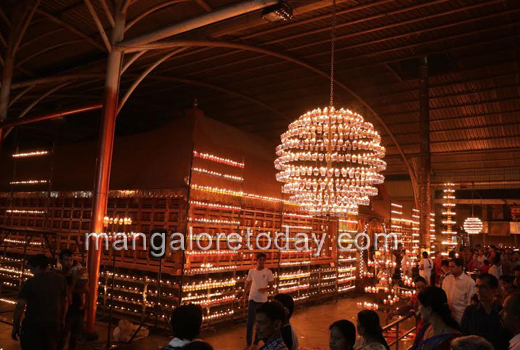 A devotional songs programme by Mulki Ravindra Prabhu and team soaked the gathering in devotion. 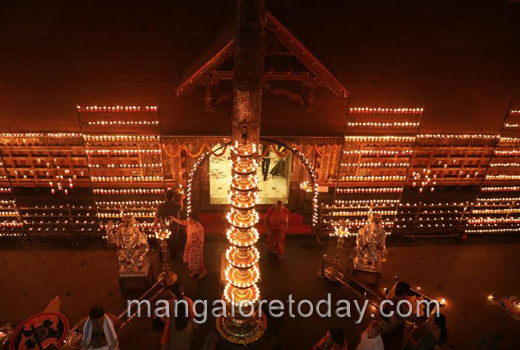 Thousands of devotees visited the shrine and invoked the blessings of the Lord on this auspicious day. 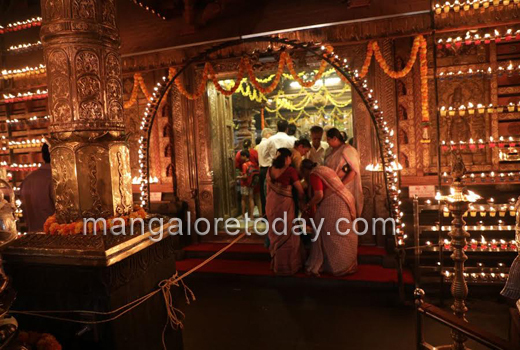 Prasadam was distributed to the devotees after the pooja at 9.30 pm. 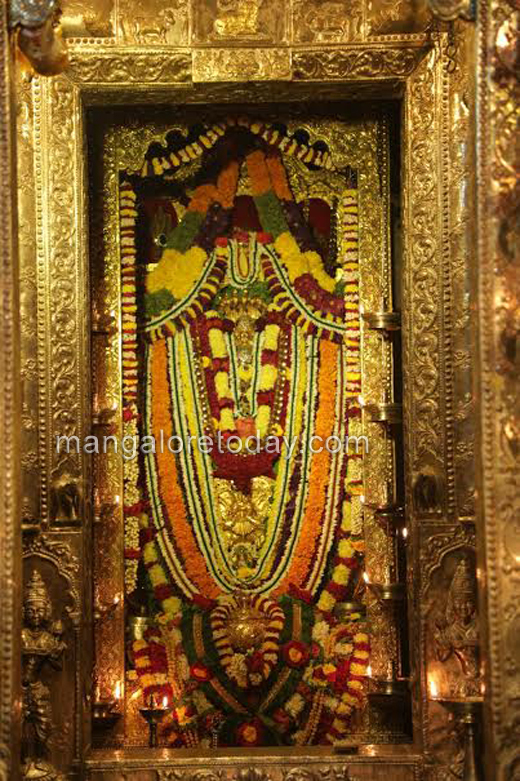 May lord Venkataramana bless us all . 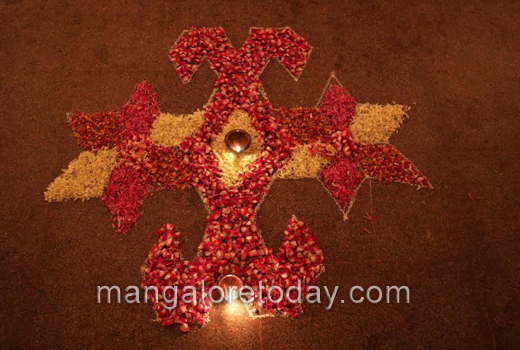 Wonderful decoration at temple looks bright and beautiful.